Rengô kantai shirei chôkan: Yamamoto Isoroku, original Japanese title literally translated as Combined Fleet Admiral – Isoroku Yamamoto. 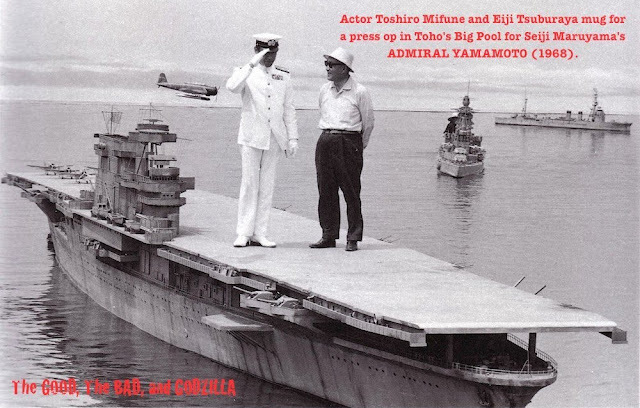 This Toho film re-uses almost all the miniature effects footage of the attack on Pearl Harbor and the Battle of Midway from "Storm Over the Pacific" (1960) and some aerial battles from "Attack Squadron" (1963) both previous Toho productions with miniature sequences supervised by Eiji Tsubaraya. 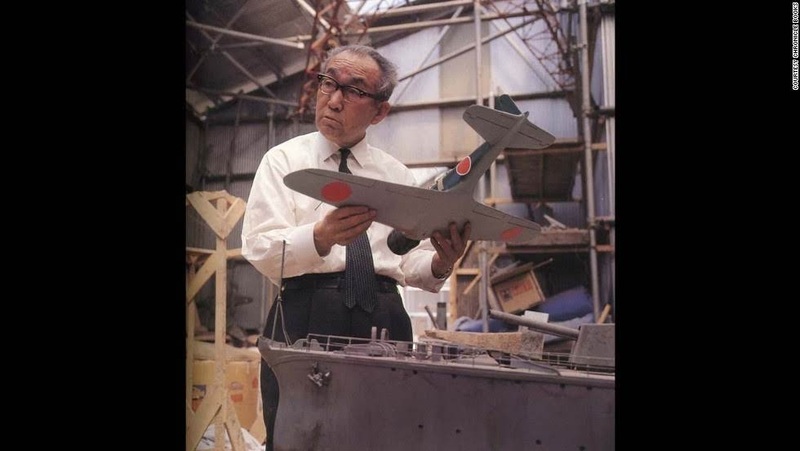 Eiji Tsubaraya and some miniatures from his war films. 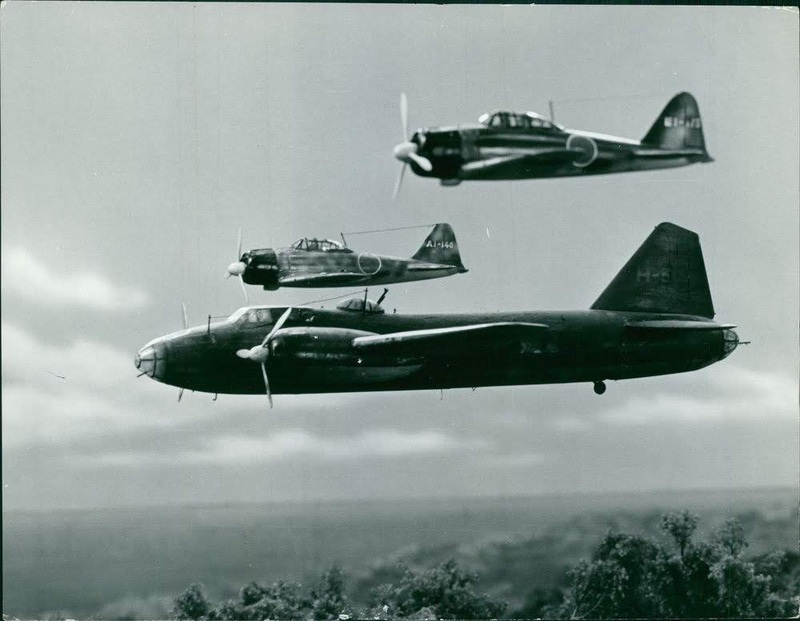 There are however some new Tsubaraya sequences, most notably the depiction of the shooting down of the "Betty" bomber carrying Admiral Yamamoto by attacking American P-38 fighters over Bougainville in New Guinea. The miniature jungle is suitably dense and impenetrable. One of the joys of these Japanese war epics is the prolific pyrotechnic effects. All the miniature guns on the ships are in virtually continuous fire. There is also tracer fire being hurled at the miniature aircraft from off screen and leaving bright red streaks of light. 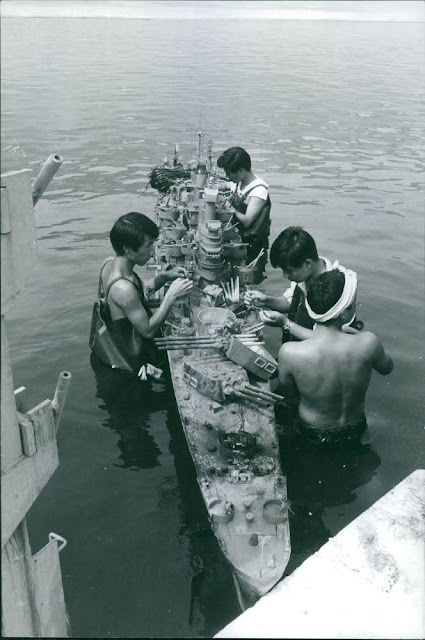 Preparing the pyrotechnics for the firing of the guns on the main battleship miniature. Some more behind the scenes photographs of the ship and aircraft miniatures can be found on the moon-city-garbage.agency website. There is an assortment of other interesting articles with photographs concerning miniatures to be found on this site as well. 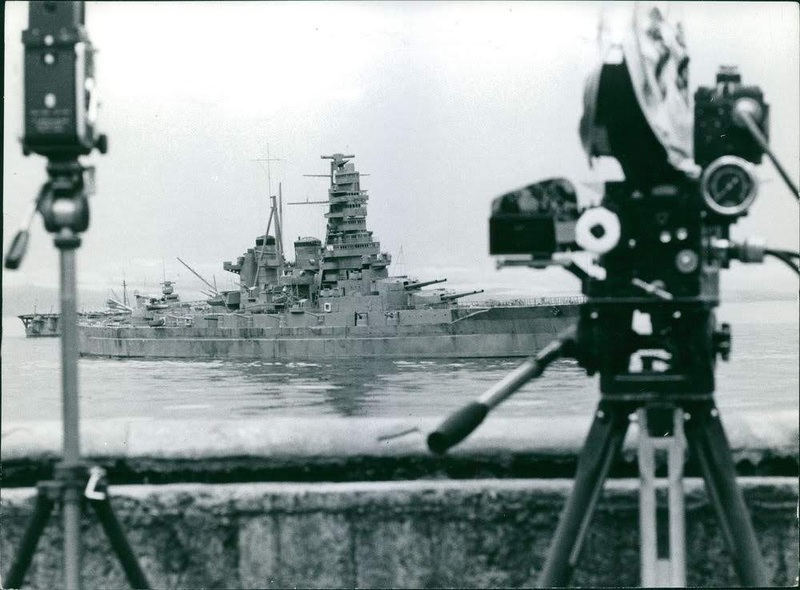 Some of the miniature footage from Admiral Yamamoto appears in the American movie "Midway"(1976). Thanks once again to Roger Todd for his enthusiastic assistance with the visual material for this post.